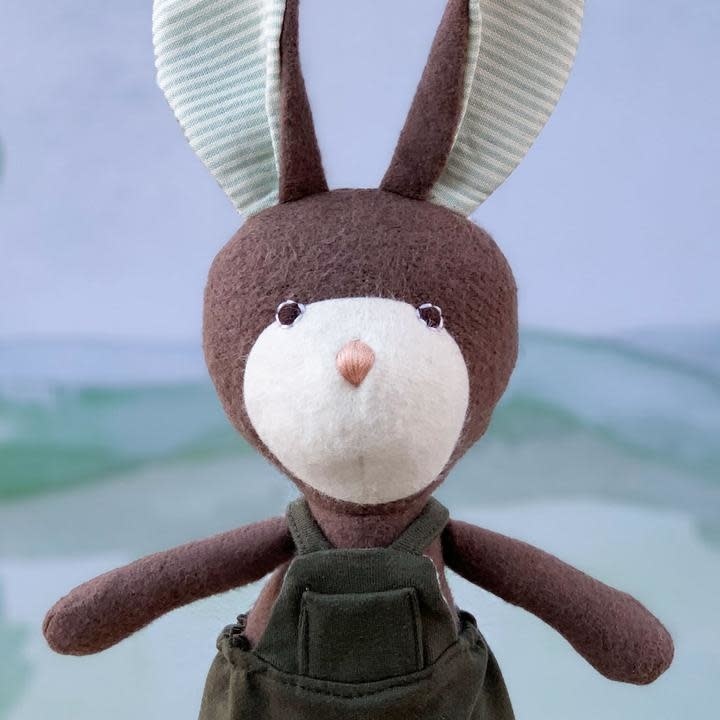 The Hazel Village Lucas Rabbit in Overalls loves to dig holes in the pond beach so he can make swamp forts. His overalls are the perfect outfit for a playdate. His real name is Lucas, but his friends call him Pummy. 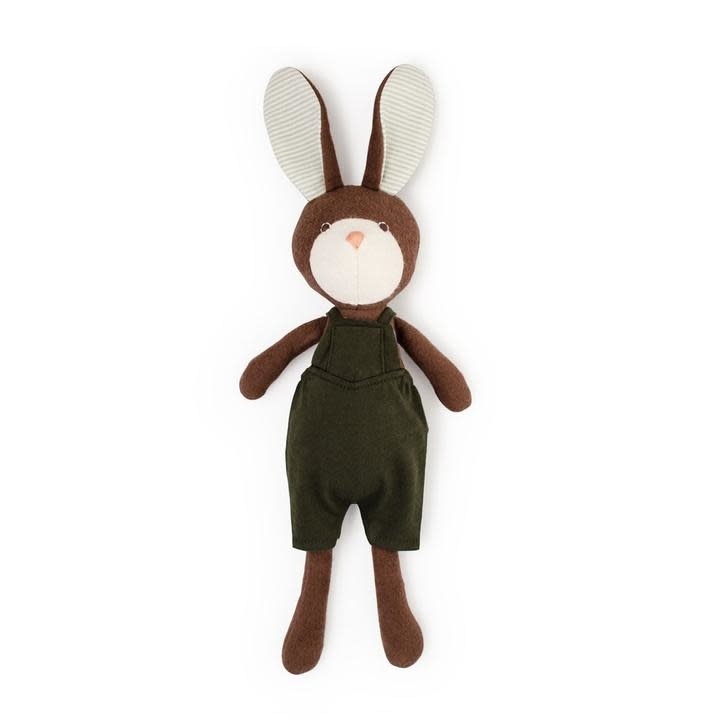 Pummy is made from brown organic cotton fleece with a soft flannel texture. 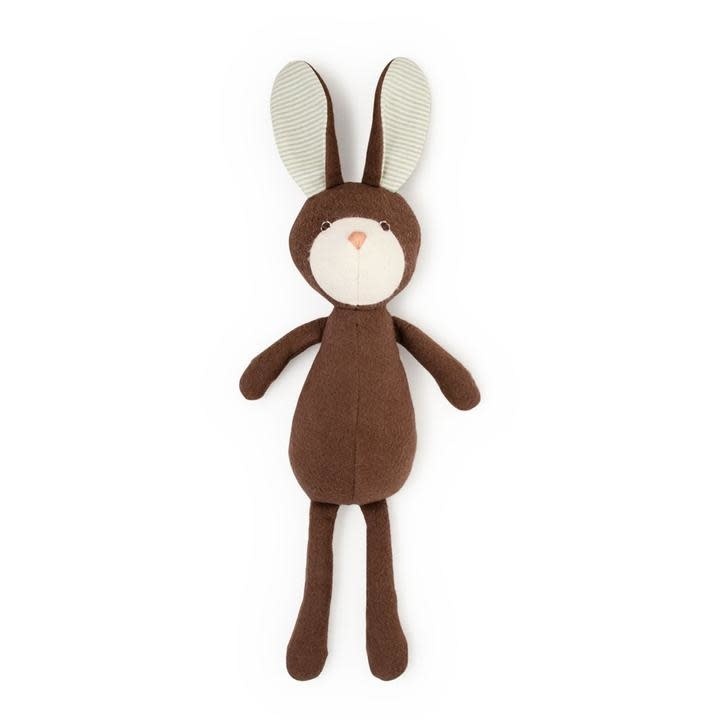 His nose and tail are natural colored fleece, and his ears are lined with cotton shirting stripe. He measures 15" including ears. 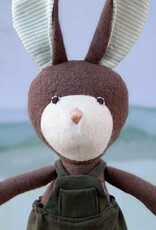 His eyes and nose are hand stitched with cotton thread. He is stuffed with washable polyfill so he can be hand washed if he gets dirty (you know how those swamp forts can be....). 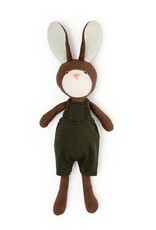 Pummy's romper is made of a dark green organic cotton/hemp blend. It closes with velcro in the back, and has a place for an animal's tail to stick out. 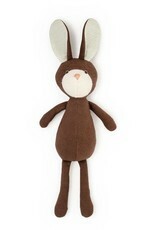 It is removable so Pummy can share and trade clothes with the other Hazel Village animals.